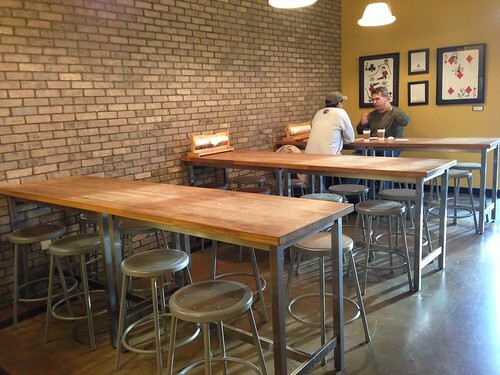 Certain kinds of neighborhoods tend to attract craft coffee shops. They’re usually gritty, partially gentrified neighborhoods: the kind your parents would lock their car doors in. Show me a thriving craft coffee shop and even money says there’s an independent bike shop, record store, or art gallery a stone’s throw away. Unless that coffee shop is Jubala Village Coffee in Raleigh, NC. 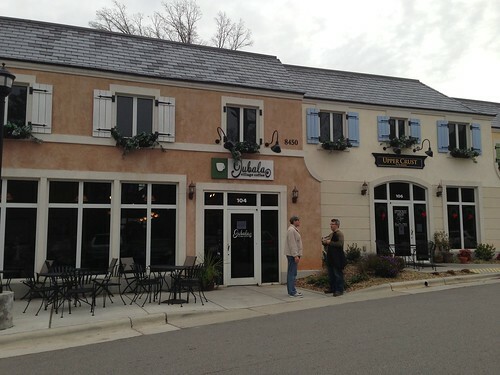 In the upscale suburb of North Raleigh, Jubala Village Coffee defies all expectations. Housed in a pastel faux-Italian village shopping center, Jubala’s exterior does not immediately suggest culinary excellence. But despite all appearances, they are serving some of the best coffee in the Raleigh-Durham area. Raleigh-Durham’s claim to specialty coffee fame is Counter Culture Coffee, one of the biggest companies in the industry. All along the Eastern seaboard some of the most popular and ground breaking cafes serve coffee from this Durham based roaster. But surprisingly it can be difficult to get a cup of Counter Counter in the Triangle (Raleigh, Durham, Chapel Hill) that does it justice. 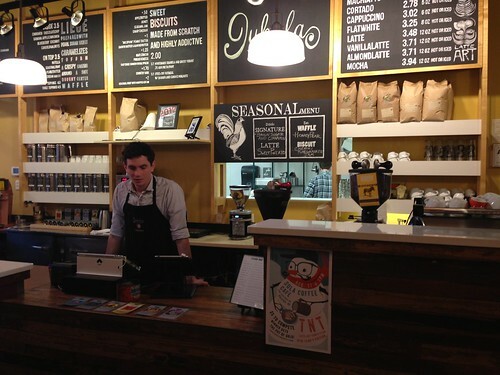 Thankfully Jubala, which exclusively serves Counter Culture, is doing it right. All of the filter coffee at Jubala is brewed to order with Counter Culture’s trademark Bonmac Procone drippers. a bold move for a shop in a neighborhood dominated by drive-throughs. According to owner Andrew Cash, customers initially balked at waiting an extra 5 minutes, but the cup quality keeps them coming back. Mr. Cash knows a thing or two about drip coffee: he recently made it to the final round of the Southeast Regional Brewer’s Cup. 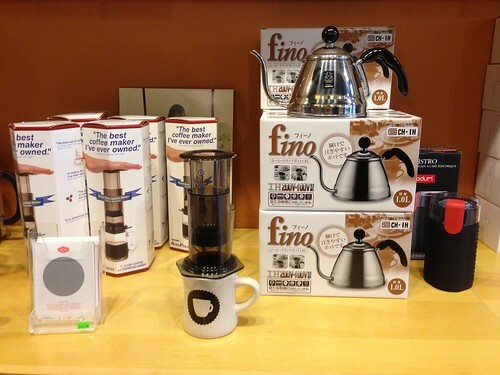 Jubala’s impressive array of different filter coffees changes seasonally. When I visited the offerings included an Idido Washed, Ethiopia; Mpemba, Burundi; Baroida, Papua New Ginuea; and El Gavilan, Ecuador. Over several visits I tasted all of them and was impressed. Each cup was balanced and well brewed. 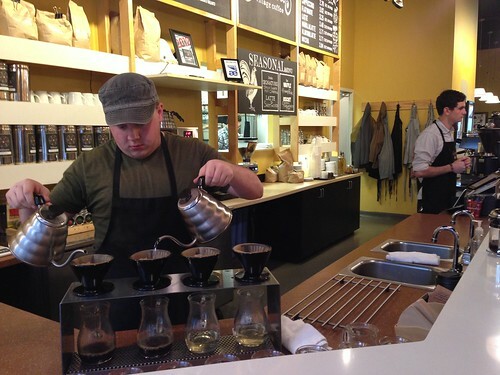 Consistency can be a big problem for a busy pour over bar, but Jubala is knocking it out of the park. 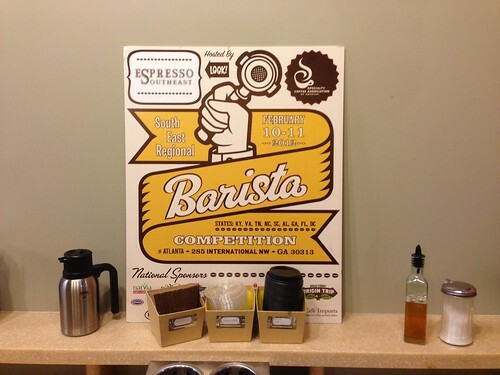 My personal favorite was the Mpemba, Burundi, which had a nice red fruit acidity and a juicy mouthfeel. 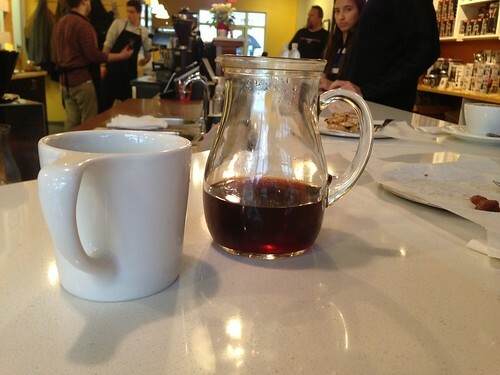 In-house coffees are served in a glass carafe with a Not Neutral mug, so order for-here if you can find a seat. Normally Jubala serves Rustico Espresso Blend on their La Marzocco GB-5, but every Friday they offer free shots of a single origin guest espresso. The shot of Rustico I had was tart, sweet, and syrupy- like cherry pie filling. Jubala also has a small signature drink menu, inspired by Southern cuisine and barista competitions, sweetened with house made syrups. 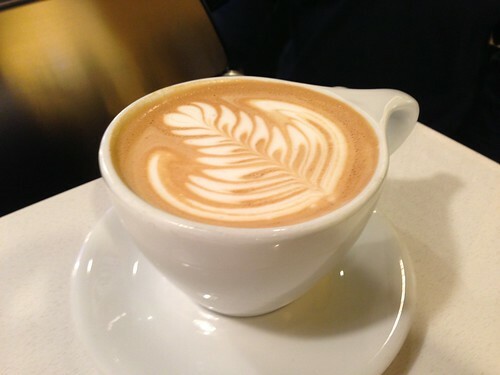 If you order a latte or cappuccino, expect some great latte art; more than one Jubala barista has won a Triangle TNT (a monthly latte art throwdown). Jubala’s food offerings, made from scratch in the back of the house, are not to be missed. The Belgian waffles are an Old World treat with a New American twist and their homestyle biscuits, served with apple butter or seasonal jam, are a contemporary interpretation of a Southern classic. Whatever you order, expect a healthy portion of Southern hospitality.